Sell My Motorcycle Online has been buying used Motorcycles and ATVs for over a decade. Through boom and bust in this industry, we have maintained a reputation of giving a fair price for Motorcycles we purchase and paying cash… FAST! We buy from all over the lower southeast. If you live in Georgia, Florida, Alabama or any of the surrounding areas, we want to hear from you! We can arrange to pick up and shipping and get you the money you deserve for your used vehicle. At Sell My Motorcycle Online we buy from all over the south and primarily the state of Florida. From Tallahassee to Miami, if you are selling your bike in Florida, we are interested. There are a lot of options to sell your bike, but we are the only ones that make it easy and quick. Dealerships are out to give you very little for your used bike, but at Sell My Motorcycle Online we give you what you deserve for your bike. Get your quote today for your used motorcycle. 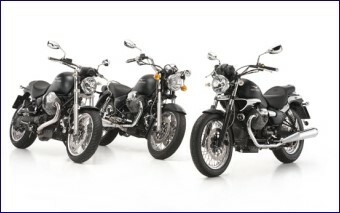 This web site intended to tell some of the stories and circumstances around selling your motorcycle whether it’s a Harley-Davidson, Honda, Yamaha, Suzuki bike or ATV. Street bikes, dirt bikes, cruisers or choppers, it doesn’t matter. For a fast, free quote just click on: Free Quote. You will get an answer fast.